Healthy people is something that every society should be aspiring to have. When people are healthy, it’s more likely that they can contribute positively to their environments, places of work and immediate communities. In light of this, if you decide to pursue a career in health, then you’d be making a significant contribution to society. However, not everyone starts off in the health sector as some transition into it gradually. If this is something you’re trying to do, you might need time and flexibility to achieve your end-goal. Here are tips on flexible ways to pursue a health career. If you already have a career path that you’ve been taking for some time now and are looking to gradually transition into a health career, then start by setting long-term goals. This will help you clearly establish how you’re going to make this transition as well as help you create realistic timelines. 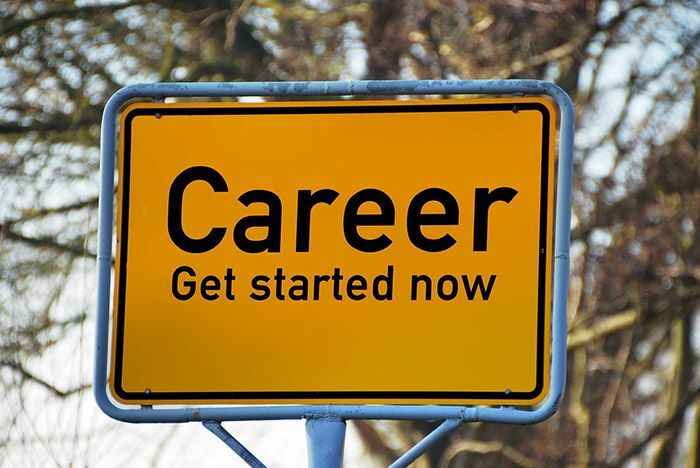 Below, you’ll see ways that you can set long-term career goals. Make them SMART: When setting long or short-term goals, make sure that they’re SMART so you can measure them. Although they will be goals you’re aiming to achieve long-term, you still want to be able to track your progress and how close you are to success. Keep a Record: Recording your progress along the way when setting long-term career goals is a must. This will help you make any necessary improvements along the way and give you something to look back at for motivation. Get Help: Sometimes you need help with discovering the how of achieving your goals. Without the how you probably won’t end up getting the results that you’re hoping for. Ask the right people for advice with setting your goals so that you’re on track. If you’re choosing a career path in health that requires you get a certification, you may be worried about how you can fit learning into your schedule. In such scenarios, flexible learning through the means of online training is an option worth exploring. If, for instance, you want to go into personal training, you could look for a fitness training course in Cardiff if that’s the city closest to you. In case you’ve never thought about online learning, here are some benefits. Flexibility: If you’re in fulltime employment, taking time off to go to work probably isn’t the most practical thing to do. Having said that, by choosing to learn online, you can study during your free time instead. Affordability: Most of the time, you will find that online learning is far cheaper than doing so in a traditional way. This means you don’t have to end up in serious debt or with overwhelming fees and you can acquire your qualifications without a huge financial burden. Better Learning: Sometimes, you find that when you have control over when and how you learn, you retain information better. This could be because you can choose to consume information in the environment of your choice, and you can take your time to get through school. Working part-time is another flexible way to pursue a career in healthcare. See if you can afford to take time off so that you can reinvest that time into trying to achieve your goals. Ask your employer if you can shorten your hours or work from home some days. It could also be a good approach to look for jobs that let you work a night shift, so you have the day to work on your career goals. Following on from the former point, explore freelance roles or self-employment if you can’t seem to find flexible roles in formal employment. This isn’t as difficult as it may seem as you could simply start by looking at your skills and what you’re good at. Think about how you can make money from your skills and add value to prospective customers. One freelance role to try is doing data input for a company online. If you’re good at organising, consider becoming a personal assistant for a busy professional online. For those skilled in the area of sourcing items people are likely to buy, consider starting a drop shipping business or selling items that are in high demand. You can do this on eBay, Amazon, or any other e-commerce platform. The goal is to make extra money to help you stay afloat while you pursue your career. Health is something that everyone needs, so it can be both a lucrative and satisfying path to journey on. No matter how long it takes, know that with time, you’ll achieve your goal of becoming a health professional.